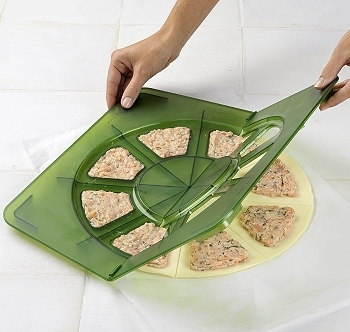 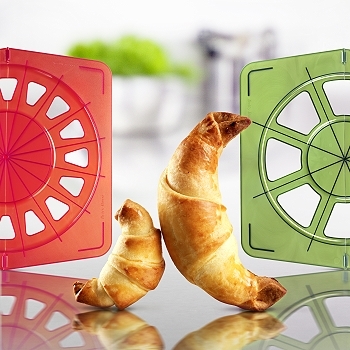 Croissant Maker allows you to prepare delicious filled croissants quickly and easily. 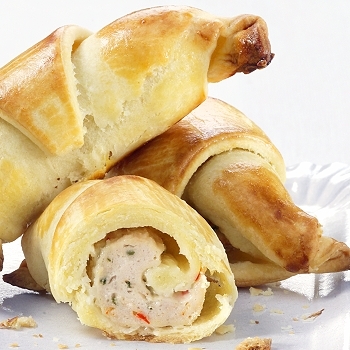 Create beautiful Croissants full of meat, cheese, fruit or any filling of your choice. 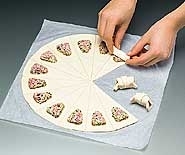 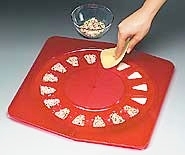 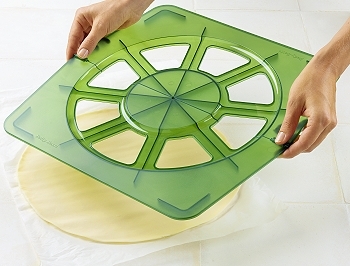 Use your favorite dough such as croissant dough, puff pastry dough, pie dough and roll-out to a 13 1/2" circle. 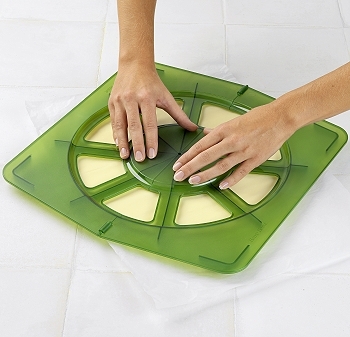 1) PRESS the Croissant Maker into the dough. 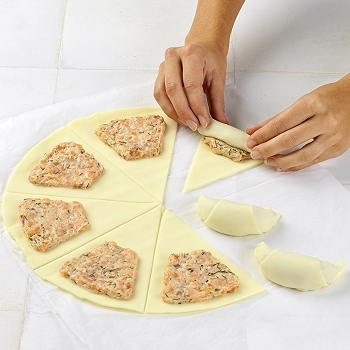 2) FILL each cavity with your choice of fillings and spread evenly. 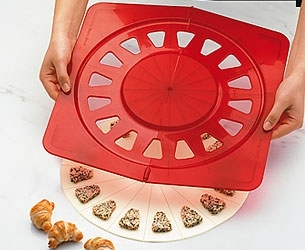 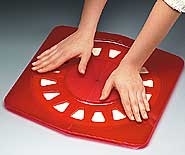 3) LIFT and remove Croissant Maker. 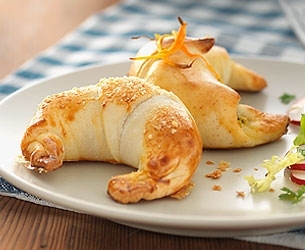 4) ROLL-UP prepared croissants and bake. 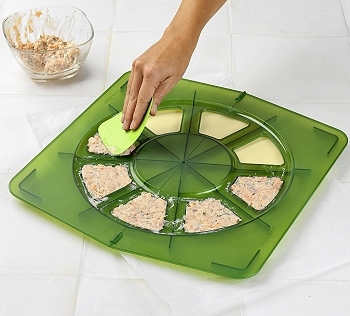 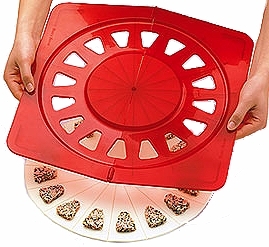 Includes plastic spatula for spreading filling.